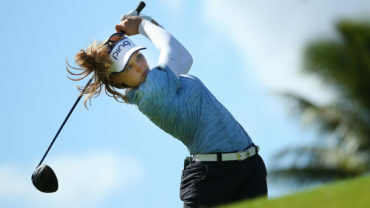 REGINA – England’s Georgia Hall can relate to the pressure that Canadian golfers may be feeling at the CP Women’s Open. Hall won the Women’s British Open earlier this month at Royal Lytham to become the first British player to win the tournament since 2009. She didn’t think about any added tension during her breakout performance and instead focused on the excitement at hand. 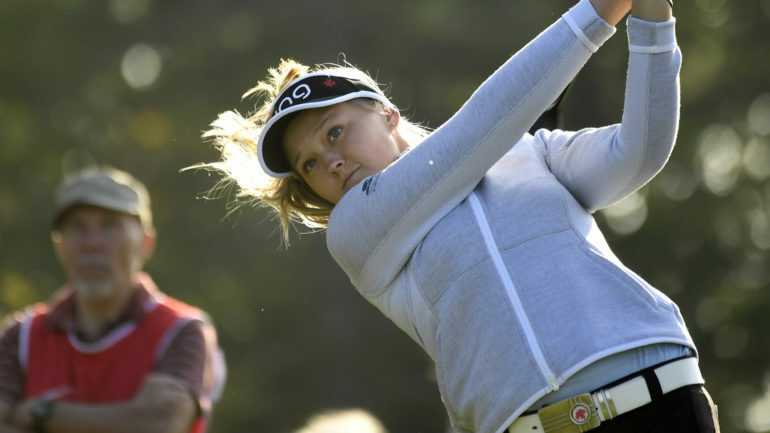 Brooke Henderson of Smiths Falls, Ont., headlines the list of 16 Canadians in the field this week at the Wascana Country Club. The world No. 14 has one victory and eight top-10 finishes this season. Jocelyne Bourassa was the last Canadian to win this tournament, taking the 1973 title in Montreal. Henderson finished in a tie for 12th last year in Ottawa. She has an afternoon tee time for Thursday’s opening round with new world No. 1 Sung Hyun Park of South Korea and Sweden’s Anna Nordqvist. 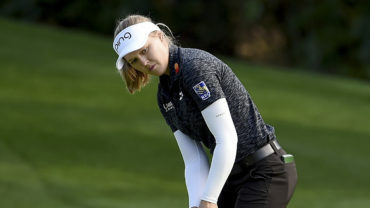 Other Canadians include LPGA Tour regulars Alena Sharp of Hamilton, Maude-Aimee LeBlanc of Sherbrooke, Que., Anne-Catharine Tanguay of Quebec City and Brittany Marchand of Orangeville, Ont. 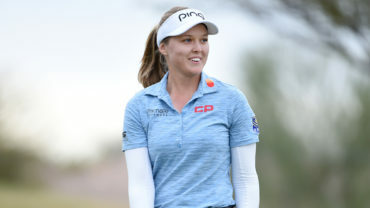 Symetra Tour players include Jennifer Ha of Calgary, Saskatoon’s Anna Young, Augusta James of Bath, Ont., Elizabeth Tong of Thornhill, Ont., and Megan Osland of Kelowna, B.C. Canadian Golf Hall of Famer Lorie Kane of Charlottetown will make her record-tying 28th appearance. National amateur squad member Naomi Ko of Victoria is also in the field with development squad players Celeste Dao of Notre-Dame-de-l’Ile-Perrot, Que., and Ellie Szeryk of London, Ont. Amateur Grace St. Germain of Ottawa was a late withdrawal. Vancouver teenager Tiffany Kong is playing on an exemption and Saskatoon native Bobbi Brandon earned a spot with a top-four finish in Monday’s qualifier. Golf Canada’s national women’s head coach Tristan Mullally said it’s possible for players to treat the added pressure in a positive way. Second-ranked Ariya Jutanugarn of Thailand, China’s Shanshan Feng and Americans Morgan Pressel and Paula Creamer are some of the other big names in the field. The wind was howling on a warm, sunny afternoon for Wednesday’s pro-am championship. Similar conditions are expected for the first two rounds but rain is in the forecast for the weekend. There are opportunities to go low on the 6,675-yard course. It’s a flat track with long, narrow fairways, thick rough and fast greens. Players who are long off the tee – like Henderson – could give themselves opportunities as the course often rewards aggressive play. This will be Hall’s first tournament since her first major title – and first victory – on Tour. The rookie will play in a group with three-time CP Women’s Open champion Lydia Ko of New Zealand and American Lexi Thompson. Play continues through Sunday at the US$2.25-million event. The champion will earn $337,500. Notes: There won’t be a domestic television broadcast or simulcast this year as all four rounds will air on The Golf Channel. LPGA commissioner Mike Whan said both he and Golf Canada CEO Laurence Applebaum would like to rectify broadcast plans either next year or by 2020. 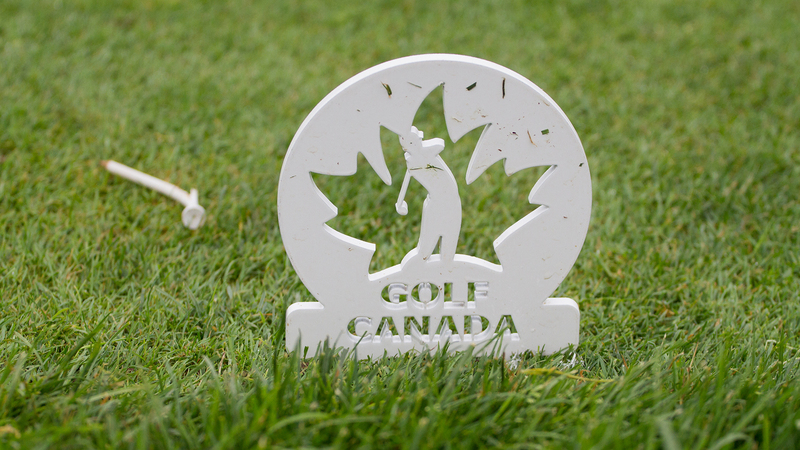 … The 2019 CP Women’s Open will be held at the Magna Golf Club in Aurora, Ont. Click here to visit the CP Women’s Open website.